My daughter turns 5 this week. She is obsessed with all things cat related and requested a kitty themed party. I noticed a super cute pair of vintage cat figurines on Etsy one day which became the starting point for her party decor. Here they are on top of her cake along with a homemade cake bunting. The cake is sitting on a Fenton milk glass cake plate that I borrowed from our Nostalgia inventory. For table linens, I used store bought plastic tablecloths (it was a kid party, after all) and topped it with a "runner" made of layered vintage doilies. More figurines adorned the table. I used a vintage tiered candy dish to serve strawberries. I put some vintage fabric in an embroidery hoop and affixed a wooden "A" (my daughter's first initial) to it with double-sided tape. I love the embroidery hoop + vintage fabric combo -- I've seen it a lot in weddings lately. I cut out cute little vintage kitty faces and glued them on the treat bags and used scrapbook paper to turn paper plates into kitty faces. We have mini trikes and wagons (and full-sized trikes and wagons, too) that would be so cute for a birthday party or baby shower. We have boxes and boxes of vintage tea cups, teapots, and tea party supplies. 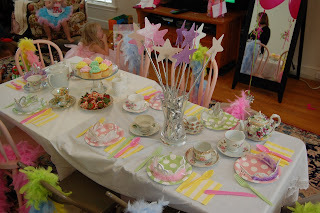 My daughter's third birthday party was a vintage dress up/tea party. 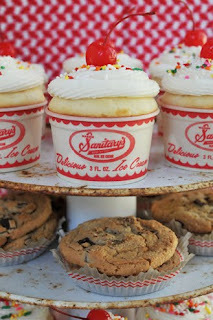 We have lots of ice cream parlor items, including these vintage ice cream cups (unused) and an ice cream parlor table and chair set (one of the chairs pictured above). 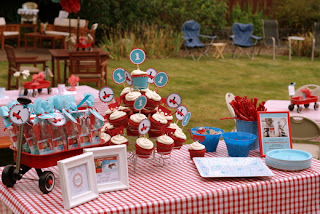 If you are interested in hosting a vintage-themed party for your little one, give us a call. 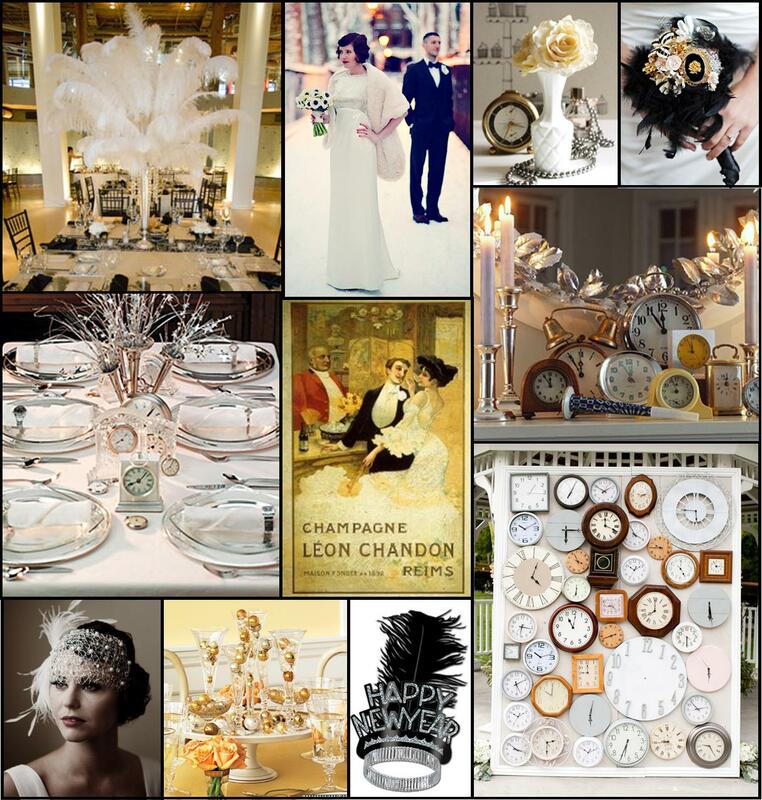 We can help you find the perfect vintage props and craft a beautiful, timeless party! 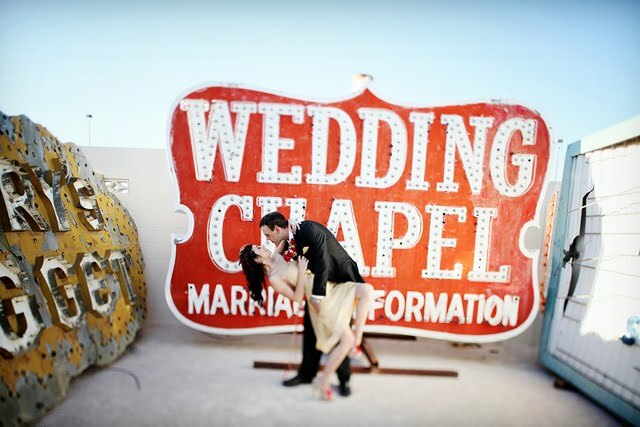 Attention, Las Vegas eloping couple (and everyone else)! Isn't this photo great? See more wedding images from the Las Vegas Boneyard here. I created this Polyvore set quite awhile back (after my hubby's cousin Heidi, and her fiance Alex got engaged -- they are two of the sweetest people in the world and are very accomplished travelers). I have been itching to do a travel themed wedding ever since. Cute vintage bicycles, check. (The tandem bike recently had a nice bath and is looking much shinier and prettier). Old postcards (and cool ways to display them), check. I could go on but blogger's picture importing is making me angry. 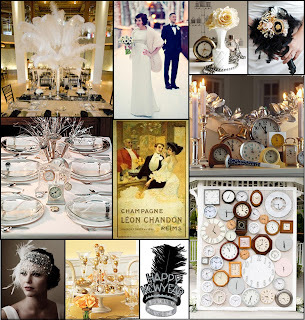 There's lots of great ideas/inspiration for this theme out there. Since I am giving up adding pictures to this post, just check them out here and here and here. Last Forty Percent Photography. Second Row - Taste of Home, Amazon.com, Martha Stewart. Third Row - Baba-C Designs, Martha Stewart, Party Options, Focus Photography & Jesi Haack Design via Green Wedding Shoes. I have also been working on the brooch bouquets for Stephanie and her bridesmaids and I think they are turning out great! Can't think of a better way to ring in the new year!